Plusfactor is an New Zealand based software development company producing software specifically for companies for whom Job Costing is a prime requirement of their management information system. All product is sold direct to the end-user. 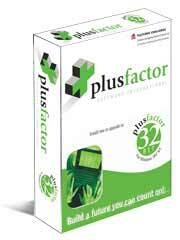 Plusfactor provides access to all the necessary services, from consultation to training and implementation. The company recognises that support is of paramount importance to all users of mid-range systems, and is able to provide fast and efficient support on every aspect of the use of the program. In 2018 Plusfactor was purchased by the JDM Technology Group. At the same time, Plusfactor was absorbed into CostCon New Zeland Limited and continues to run as a standalone division.